Estate planning offers the opportunity to provide direction and input into important decisions about your health care, assets, and caretakers for your children and to ensure these decisions are implemented when you are no longer able to make or express informed decisions. a significant change in the estate tax laws. Creating an estate plan is a concrete way to achieve peace of mind about your medical treatment, finances, and the care of your children. Below we have provided answers to many of the common questions that we are asked about Wills, Trusts, Healthcare Proxies, etc. If you would like more information please do not hesitate to call us at 508.655.5980 or e-mail us. Are you a frequent user of social media (Facebook, Twitter, etc.)? Do you have a smart phone (iPhone, Android, Windows phone etc.)? Do you shop or sell online (Amazon, Craigslist, Ebay, Paypal etc.)? Have you considered who would have access to these digital assets if something happened to you? Digital Life Estate planning offers the opportunity to provide direction and input into important decisions about your online assets and media. This type of planning should be done in parallel with your traditional estate planning documents to ensure complete protection for your family. For more information Contact Us or Download our Digital Estate Planning Guide. 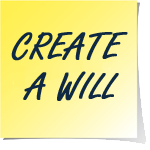 A Will is a legal document used to direct the management and disposition of your probate assets. You might be surprised to learn who would receive your property if you do not have a Will. A Will allows you to choose the Personal Representative, who will be responsible for the administrative aspects of the estate. If you have minor children, a Will can be used to nominate guardians to care for your children. A Will names the beneficiaries of specific personal items or family heirlooms you want to leave to particular individuals, as well as directs where the rest of your probate estate will go. Can my spouse and I share a Will? Each person must have an individual Will document. Spouses may have identical provisions within their respective Wills, but each spouse has a separate document. When an estate is probated, the original Will is filed with the Probate and Family Court of the appropriate jurisdiction. Since the Court keeps the original document and it is not returned to the Petitioner, it would not be possible to file the same physical document in more than one estate. A Durable Power of Attorney for Health Care, often referred to as a Health Care Proxy, is a legal document used to appoint an agent to make medical decisions on your behalf in the event of your incapacity. Massachusetts does not recognize Living Wills, which are documents in certain other states that describe specific medical wishes, but a Massachusetts Health Care Proxy may provide some care directives similar to Living Wills beyond merely naming an agent. A Durable Power of Attorney, often referred to as a Power of Attorney, is a legal document used to appoint another individual to act on your behalf in the event of your absence or incapacity. 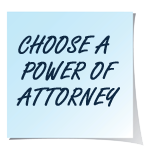 A Durable Power of Attorney typically provides the appointed person with financial powers, such as the ability to pay your bills or manage your accounts, but the powers can be limited or expanded depending on your specific needs and circumstances. Do I have to name my spouse as my Health Care Agent? 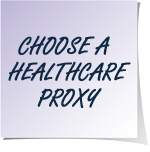 You can appoint any individual of your choice as your Health Care Agent under a Health Care Proxy, even someone other than your spouse. If your spouse is competent to serve as your Health Care Agent, it is probably advisable to discuss your choice with your spouse, since most health care providers may presume that your spouse would have the authority to make healthcare decisions on your behalf if you are incapacitated. 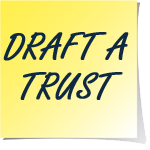 A Trust is a legal entity which holds assets for the benefit of its beneficiaries. There are many types of Trusts with as many different purposes, from tax savings to special needs to charitable contribution to probate avoidance. Trusts are often established as part of an estate plan, and may be designed to maintain specific types of assets, such as life insurance or retirement accounts. What is the purpose of choosing a Guardian in a will? A guardianship nomination in a Will is only considered if all of the parents or existing legal guardians of a minor are unavailable, incapacitated, determined by a Court to be unfit, or have voluntarily relinquished parental rights. The Court would then look to the next nominated guardian. The guardian must still petition the Court to appoint them in order to have official authority to care for any minors. If the child is at least 14 years old, s/he can consent to or withhold consent from the appointment of the nominated guardian, or nominate a guardian of his/her own choice. Click here if you have questions about probating a will.